After the three treasures comes the three pure precepts. To me, the three treasures would be enough because, being awakened (dream on) would lead one to realize 1) that all is one and 2) that hurting something is hurting all (including the hurter). Not creating evil: sometimes we are reminded that when we sit we aren't doing harm. Of course, if someone has slipped in the mud and we continue to sit rather than helping them up then we are doing harm by sitting. Not creating evil is difficult as an action. I suppose withholding one's tongue or fist might be an example. This precept seems to be about restraint. Though I suspect as I think about this more I'll figure out some means of uneviling... maybe a little different than practicing good. (Added the next morning.) I woke up realizing that restraint (or restraining) is a verb. It is similar to renunciation in that one chooses one path rather than another. So practicing restraint is not just not doing... but actually doing. Restraining from not being conscious as I walk across the zendo, I pay attention to the feel and bounce of the floor. 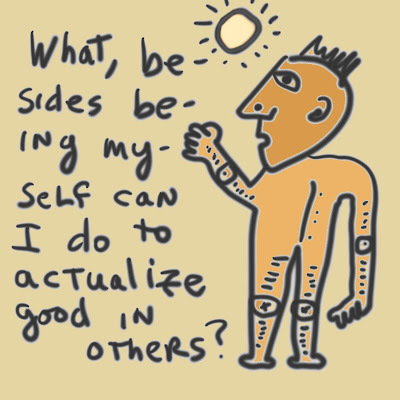 Practicing good: sometimes we justify good action by our intention. Students often want a good grade because they worked so hard. I like the praise "work smart." I'm suspicious when we think we know what someone else needs or wants. I like to think of practicing good as practicing awareness of our actions. For example, when I walk into the zendo unintentionally, the floor squeaks like mad and everyone is disturbed. Even the old floor itself is disturbed, shaken from a deep sleep by an unthinking homosapien. On the other hand, when I walk on the earth "as if it is my mother's face" I reflect an harmonious connection between the two of us. That, to me, is "practicing good." 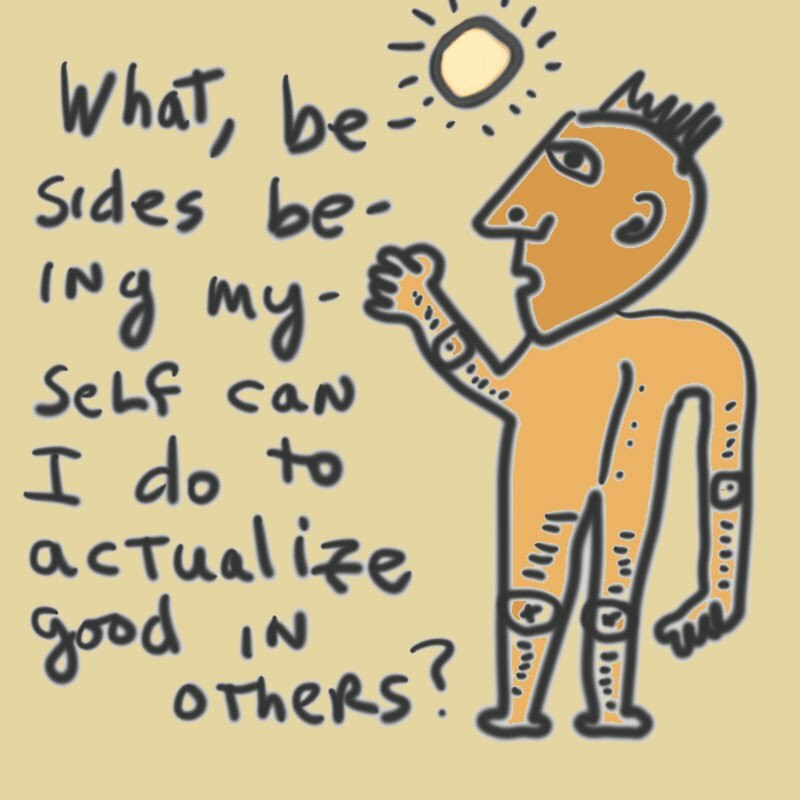 Actualizing good for others: This is a tough one for me. I don't know what might be good for others. I see modeling as one means toward helping others. Caring is certainly another way. I suppose that encouraging others to do good (whatever that might mean) and providing the means when possible is the most we can do. In China, mind and heart are the same word.